had a chance to pick up this set of Titleist mb 710 irons used with project x 6.0 shafts for $200 so of course i jumped on them i have played the ping rapture v2 for 4 years now and enjoyed them but lately i been feeling like i hit max potential out of them. well i took them to the range right away and off the mat i hit them well if it was a perfect ball strike but my misses were very bad and to the right about 30 degrees off target so i though about selling them thinking maby i wasn't ready for a iron this un-forgiving but i decided to give it one more shot i took my ping and titleist clubs to the range (grass this time) and hit 15 ball with each club starting with both pitching wedges then both 9 irons and so on, the feedback i got from that test was an awakening on grass the mb's misses weren't as bad as the turf, mater of fact i barley had any misses, the clubs not only out performed my pings in consistency i found them to be much easier to hit for a person who is a good iron striker. didn't gain yardage it was about the same as the pings or 5 yards short but i was more on target and felt more consistent. 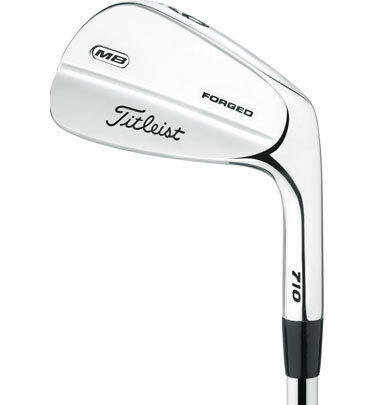 so needless to say i have decided to sell my ping raptures and keep the 710 mb titleist clubs. played a few rounds and couldn't be happier with my decision i only wish i did it sooner. so to sum it up don't be afraid to play a set of forged blades if you can test them out on grass i recommend it first before buying, if your a pretty good ball striker you might just fall in love with this set of clubs I did.